At this time of year, it can feel like I’m never not in front of a screen. Work is incredibly busy in the run-up to Christmas, and coupled with a serious schedule of events and nights out, it can leave looking and feeling a little worn out. 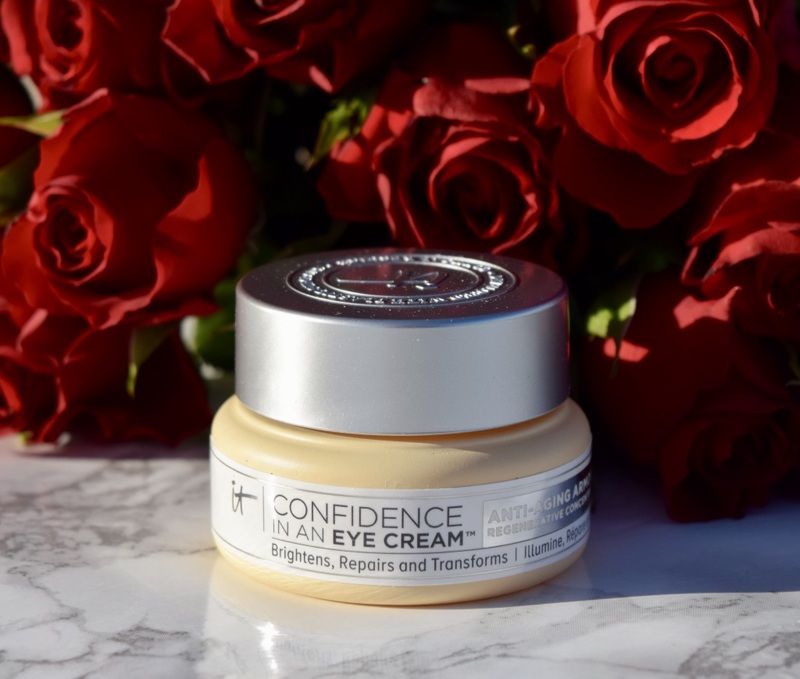 To try and keep tired-looking eyes at bay, I’ve been turning to It Cosmetics’ Confidence in an Eye Cream. It’s a brand I’ve only recently become familiar with, and I’ve only ever played around with their makeup, so I was curious to try their skincare. 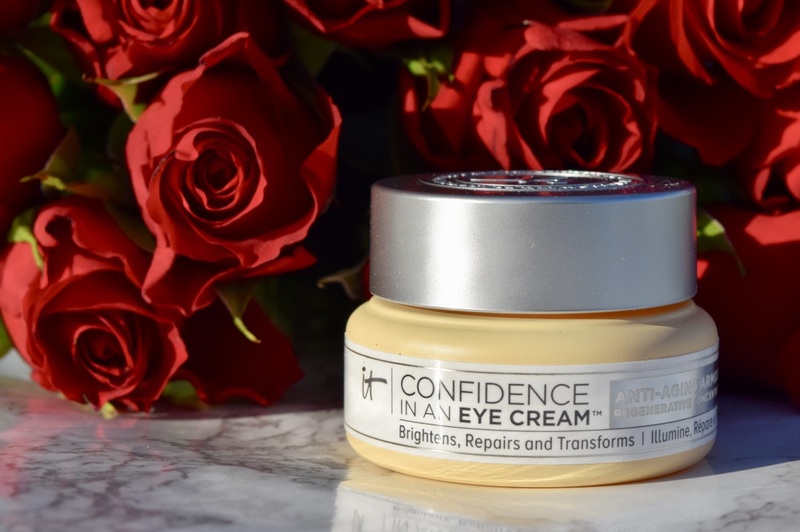 Packaged in a dinky little jar, Confidence in an Eye Cream has some big claims – it says it can brighten, repair and transform eyes. As someone who wants to combat puffiness and dryness, and keep fine lines at bay, it seems like a no-brainer. 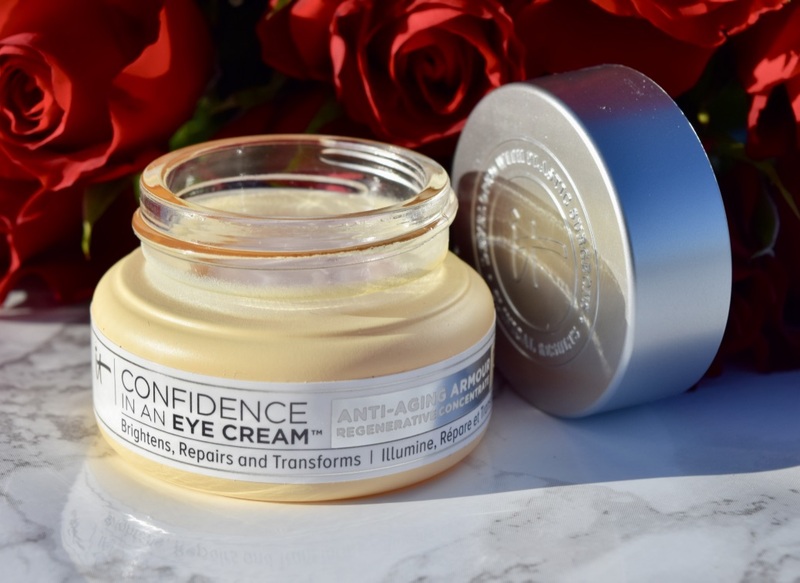 Normally I tend to only use eye creams at night – I don’t like skin looking greasy or oily under makeup, but since this one has a gentle apricot tint, it’s perfect for brightening the area up during the day. 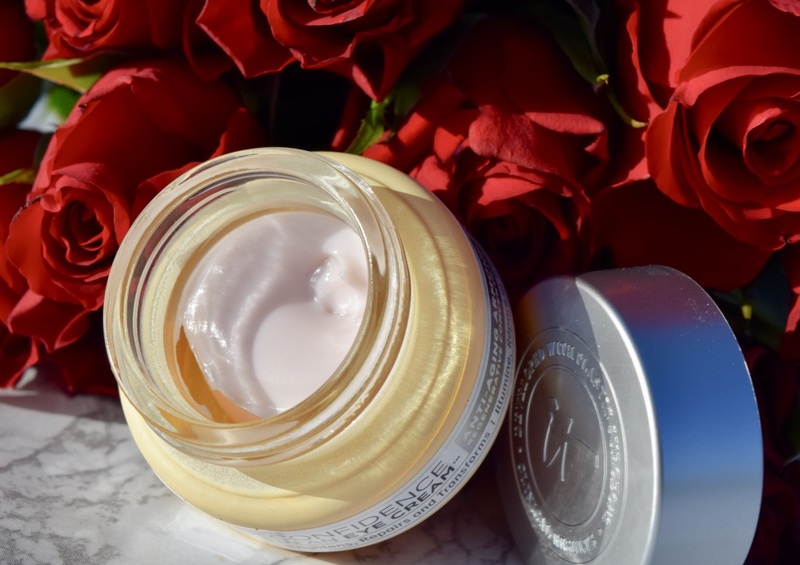 The cream itself is incredibly rich- it’s probably thicker than any eye cream I’ve used before, but what’s so impressive, is how quickly it sinks in. Within a minute or two, skin feels hydrated and nourished, rather than sticky or greasy, and it feels almost velvety soft. After my regular moisturising, I tap a little of the Confidence in an Eye Cream under my eyes, and let it sink in/ Then I carry on with my base and concealer as normal. On days where I’ve used It Cosmetics, my makeup stays crease-free, and I feel like I need less concealer, and look more awake overall. In the evenings, I work the cream in with my rose quartz guy sha, for ultimate cooling and de-puffing. It’s an absolutely gorgeous little cream, and I don’t think I’d be without it now!